It’s Sailor Saturn! Thanks for coming, I’ll see ya next time. … no? Not a good answer? Okay, well, to be fair, I think you could consider Sailor Saturn a villain if you really wanted to. But I wouldn’t. While she was possibly the most powerful of the Sailor Soldiers and she kinda did her own thing, she was still a member of the Sailor Team at the end of the day. As I’ve already discussed previously regarding Ami’s popularity, and the popularity of the Sailor Soldiers as a whole, it’s actually really hard to discuss popularity in an objective manner. Between the anime and the manga characters’ rankings changed quite a bit, and even more season to season. Fortunately for us, Nakayoshi did an annual popularity poll1 from 1993 through 1997, which gives us a nice, large data set to work with. The unfortunate part of these polls, though, is that fans were seemingly allowed to write in whatever they want, with results such as “Sailor Venus,” “Sailor V,” and “Minako Aino” all counted separately. Though this isn’t as much of an issue for the villains, I added the votes together when alter-egos appeared, as was the case with the Death Busters. Now, as for how we want to talk about what popularity means… that is unfortunately something that wasn’t easy to answer, and the reason is quite simple: Sailor Moon grew in popularity as the series progressed, at first blush, it seems like we’d want to be careful to not look at raw number of votes. As you can see here, the Dark Kingdom isn’t looking so good in terms of sheer, raw votes. But what if we look at it in terms of percentage of votes the enemies took per season? Surprisingly, there’s almost no change between these two. I did the same for all of the characters as a percentage of the total number of votes, and the standings didn’t change much as all. Basically, this means that throughout the series, the enemies continued to get roughly the same amount of votes. Interesting! Rather than just going straight out and ruining the hook of this article, let’s go year by year and see what we can learn! Zoisite’s popularity doesn’t really surprise me here seeing as he was also popular in the anime. But Queen Beryl being only one-fifth of Zoisite… wow! That was surprising. I think we all knew that Black Lady must be in here, seeing as how incredibly skewed the numbers were. Berthier in second place, though? I never would have guessed. If you thought Kaolinite was going to be on this list, you’re not alone. I was certain she was one of the more popular villains, but actually she (559 votes) ranks even lower than Prof. Tomoe (657 votes)! And this, my friends, brings us to the shock that left me speechless: PallaPalla manages to topple Black Lady as the most popular villain in the entirety of the Sailor Moon manga. At a difference of only 113 votes, she one only by a hair, sure… but that’s still absolutely amazing. As for the rest, not too surprised! While I’ve always thought of Sailor Lethe and Sailor Mnemosyne as a pair, it looks like there was quite a bit of a gap between the two of them in terms of popularity, with the former only accumulating 902 votes total. 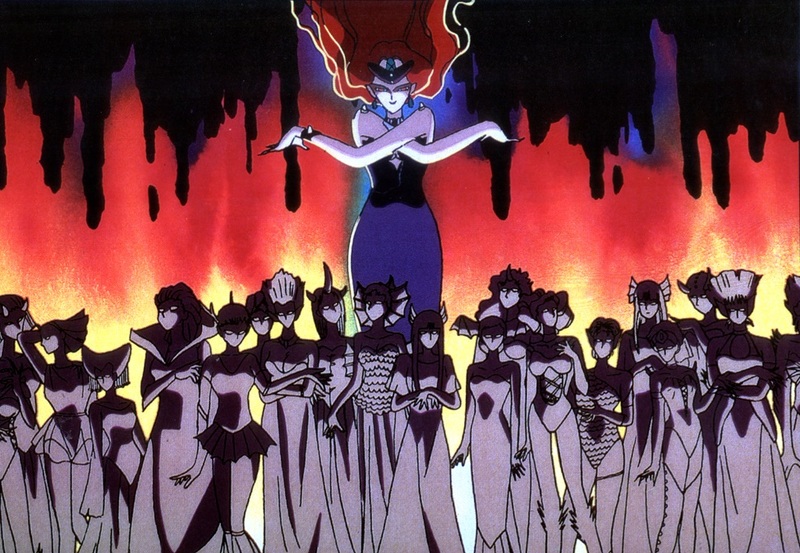 So taking us out a bit, I’ve put together the top 5 Sailor Moon manga villains and put them into a handy chart so you can see how they compare. Another thing that really surprised me when I was digging down into the numbers is that the main villains of each story arc always rank poorly. In fact, in almost every case, the head-honcho2 is one of the lowest-ranking of the villains. In their defense, Sailor Moon wasn’t very good at slowly introducing the final villains, usually only bringing them in at the very end. It makes sense that they didn’t have a chance to gain a following. Also not helping their case is that the votes took place at the beginning of the year, so the “final bosses” didn’t have time to grow on fans. So there you have it – the most popular villain in all of Sailor Moon is… PallaPalla. I’m not going to lie, this was a huge surprise to me, and I had to check the numbers several times. I even thought it might be a typo, but it seems to check out. In fact, Sailor Pallas even ranks in 17th place – right below Sailor Venus (and above Sailor Neptune and Super Sailor ChibiMoon!) – in the 1997 poll. What do you think of these results? I’d love to know who your favorite villain is, and why! ← What References Did the Animators Fit Into the Sailor Moon Anime? Palla Palla beat Black Lady?!?! Shocking!!! And for Berthier to have such a following! Interesting about Sailor Mnemosyne though I’m actually not surprised. She was quite a different character from her partner and seemed to have a soft spot for our protagonists. The character popularity polls are really all over the place, with a lot of surprising results. 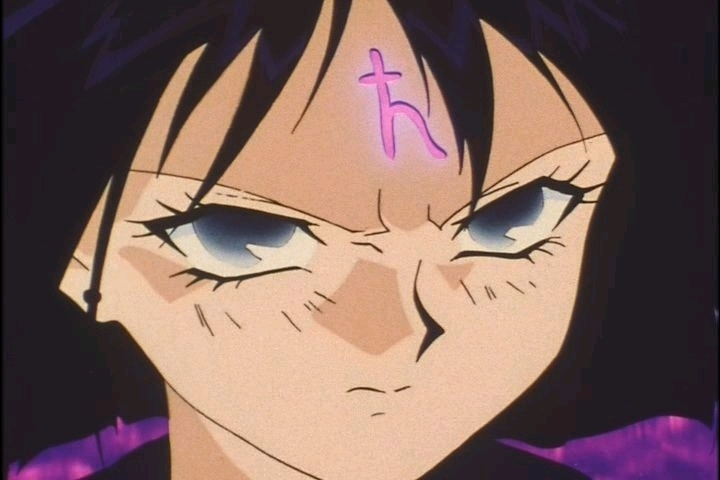 Mistress 9’s popularity seemed really low to me, especially when you consider how loved Sailor Saturn is. The popularity of PallaPalla and CereCere doesn’t surprise me at all. 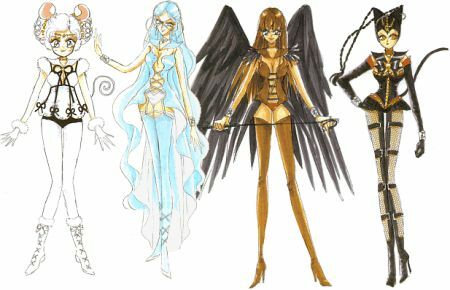 Out of all of the Amazones Quartet dolls (released by Bandai), those two are most sought after and expensive. I guess the next question for me, then, would be: why AREN’T JunJun and VesVes popular? Judging by their personalities, I can see how PallaPalla and CereCere would appeal to certain people. But you don’t often see people clamoring over the other two members of the Quartet. Just nothing unique enough? Not enough coverage in the anime and manga? Huh, I always assumed that CereCere was the leader. I don’t quite remember why I thought that, but I have it firmly in my mind that she was (and that, I assumed, also contributed to her popularity). I guess I need to look back into it! Well, VesVes and JunJun ARE popular – they’re in the Top 5 villains of Super S along with the other two Quartet members and Fish Eye. It’s just that they’re not nearly AS popular as CeleCele and PallaPalla. This was a huge shock ! !Can’t quite still believe that Pharaoh 90 was the most unpopular villain in the manga .But were polls like these also made for the anime ? I really wish there were! The only anime-related polls I’ve been able to get my hand on are the ones done by Animage, and those weren’t limited only to Sailor Moon characters, so it was overwhelmingly female characters and only the heroes. Why’s it a big surprise? Pharaoh 90 is the most vague and boring of the Final Bosses – he didn’t even TALK in the anime. Saying that, I’m actually more surprised by the glaring gap between Mimete and Eudial. Given how many dislike the former and adore the later. I guess it rings different over there, like with Chibi-Usa. Beryl was admittedly a bit dull, and didn’t really do much. So her ranking isn’t to puzzling. And you can’t really get much out of giant non corporeal entities like Pharoah 90 or Chaos. Overall. I’d say Nehelenia was probably the most interesting and developed out of the head honchos. Well, the good news is that this was a manga-only poll, so you don’t need to feel too bad about Ail and Ann not ranking in here. They weren’t in the running in the first place, so you can always just tell yourself that they would’ve won, if only given a chance. I had no idea that there was a difference in how Eudial and Mimete were perceived outside Japan. You mean that Eudial is the more popular of the too? As horrible as it sounds, I could easily see Mimete being liked simply because she’s cute. I know it sounds really superficial, but I’m always surprised at how common it is to meet fans of something in Japan only to find out that they’ve never actually even seen the series a character is from and they just like their appearance. This is especially common with Disney characters, like Winnie the Pooh and many of the Disney princesses, where most people think of them as a mascot, without any real thought given toward the character’s personality. This probably also explains the landslide results in Palla Palla’s favor. 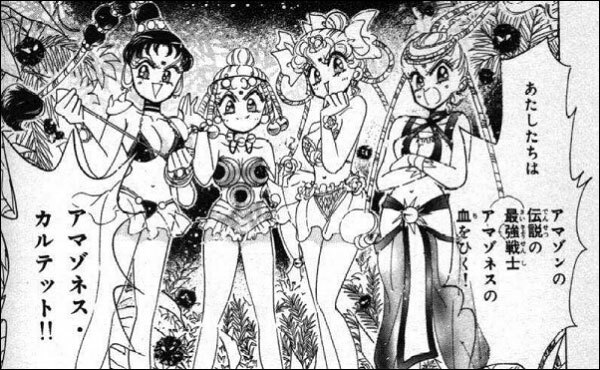 Honestly, I found the Amazoness Quartet to be pretty indistinguishable from each other in the manga. From what I’ve observed over the years, most western viewers seem to find Mimete annoying. Additional hate comes from her offing Eudiel. Who for whatever reason was a lot more loved. Though it could just be a small vocal minority. But I guess it’s another case of certain character traits being more appealing in one culture then others. Like Makoto. To be honest, I’d probably be guilty of this as well. I was actually surprised to learn that people actually liked Mimete when I was doing this article. No offense intended to her and her character, but… I mean, she brutally murdered Eudial for no good reason! And in turn Tellu resigned her to a fate possibly far worse. I’ve had a long-running conversation with my brother about how the villains in Sailor Moon may have actually won if they weren’t so incompetent and actually tried. 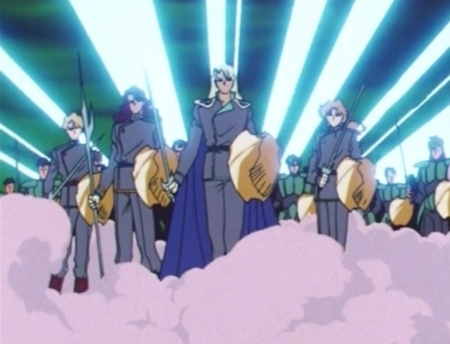 I mean, if Queen Beryl didn’t put Jadeite to sleep, they would’ve known who the Sailor Soldiers were then and there! If you ever did an article for which secondary antagonist in the 90’s anime was the most effective, my vote would be for Eudial or Zoicite. Both all but succeeded in their goals but were thwarted last second. Sailor Lead Crow also deserves an honourable mention. 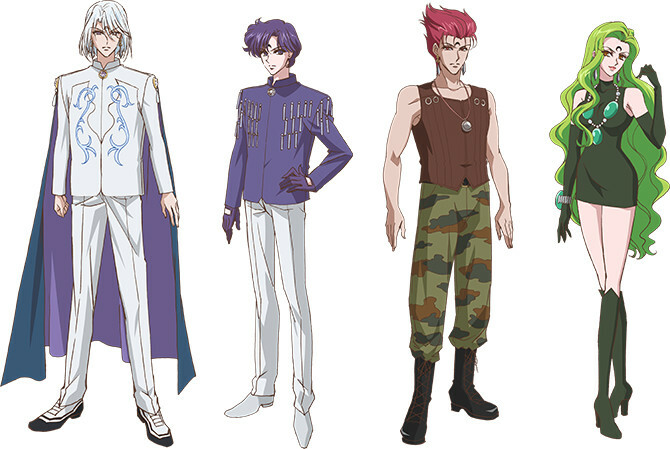 Honestly, I’d also give Jadeite a mention in that list. 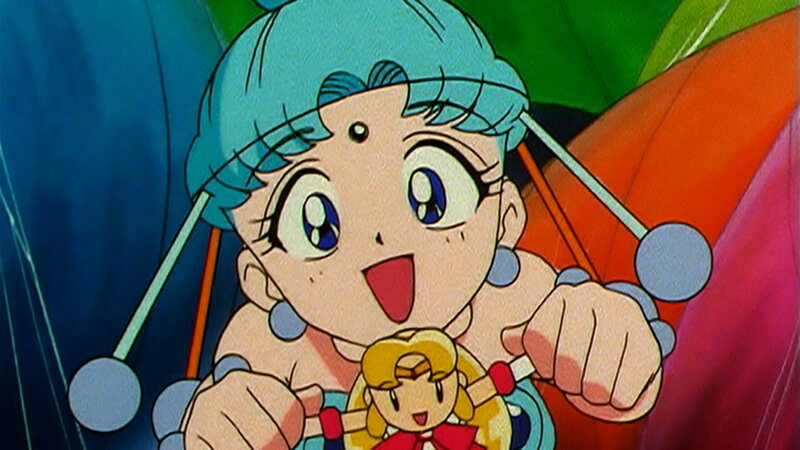 If it weren’t for Beryl being so short-sighted, they actually would have gotten the Sailor Senshi! He had figured out who they really were and everything. Also, I really don’t think he was nearly as incompetent as people made him out to be. @ Thomas Vaccaro: Kunzite should be mentioned too, since he was the one who taught Zoisite and was even actively involved with his schemes, especially toward the end. To be fair, 99% of all villains in fiction could easily defeat their opponents if they were serious or logical. But society is biased towards good triumphing at the expense of competence. In the case of secret identities for example, you could leave a recording device or a spy in the vicinity to see then de-transform. And then attack them in their homes when they are asleep or alone. But Sailor Moon (like a lot of these types of shows) does require a suspension of belief to a degree. Because really, the entire concept of the series is ridiculous when you look at it from a realistic point of view. 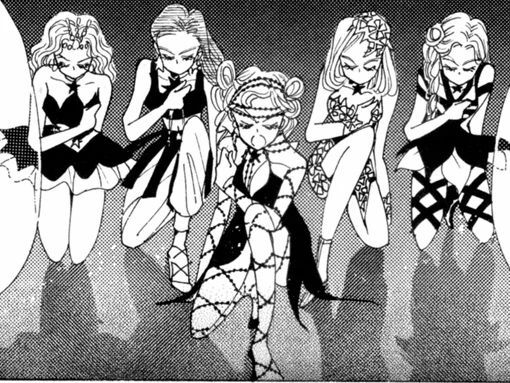 From the whole ancient kingdom on the Moon, to the Senshi’s outfits themselves. It’s a fairy tale, with slight sci-fi elements, placed in a modern urban/domestic setting. So you are kind of obliged to role with it at times, even when it doesn’t make complete sense. Otherwise why would you be wasting your time on it? I definitely agree on requiring a suspension of disbelief in order to make it through the series. As much as I make a habit of getting this blog into the nitty gritty as much as possible, it’s absolutely impossible to view the series without it. Which is why I find it absolutely insane when reading people talk online and they’ll go on about the absurdity of Usagi having blonde hair, or how ChibiUsa doesn’t look like Usagi and Mamoru’s daughter.